Security researchers have traced a recent spike in FormBook infections to a new file-hosting service that’s been billed as a place for hackers to host their malware. The researchers say the site, DropMyBin, was created just over a week ago, and is protected by Cloudflare, masking its real-world location. “Within days of going live it became a hornets nest of malware,” said Shimon Noam Oren, head of threat research at Deep Instinct, in an email to TechCrunch. FormBook goes back to 2016 when it was first used to target aerospace and defense contractors in the U.S. and South Korea. Since then, the malware has continued to infect sporadically but has remained largely under the radar. The team also found several other families of malware hosted on the site, including other trojans like AZORult, and the Lokibot trojan for Android devices. “We wouldn’t be surprised to find more info-stealers and spyware there,” said Oren. Anyone who wants to use the service for sharing malware can upload their malware, “no questions asked,” the researcher said. 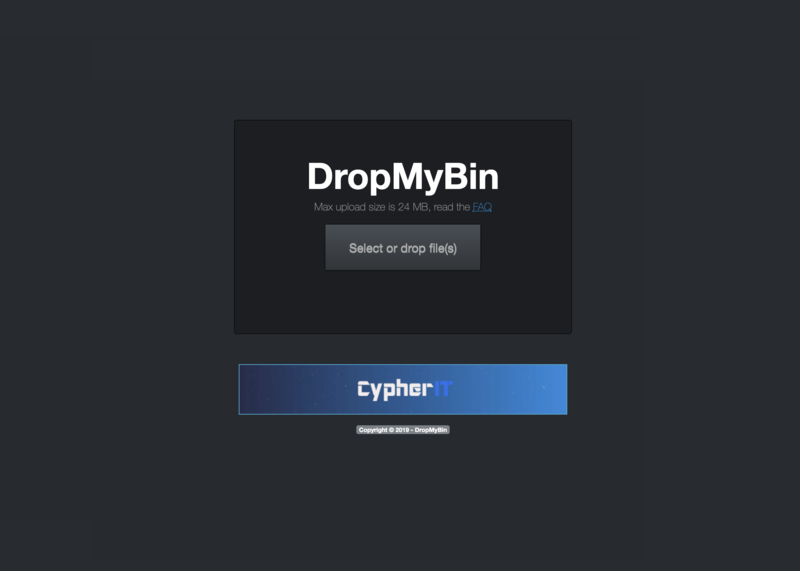 “We strongly suggest employing a zero-trust policy with respect to the service DropMyBin until other information becomes available,” the researchers said.